Weeks have gone by since my last post. In fact, the holidays have come and gone, we're in a new year and, according to the groundhog, spring is on it's way. I have hardly noticed the time passing in the past month or so because I have been focusing all my free time on a painting. Several months ago I received a notice for a certain competition and I decided to enter it. The deadline was quite a way off so I had time to ponder my design and gather reference material. 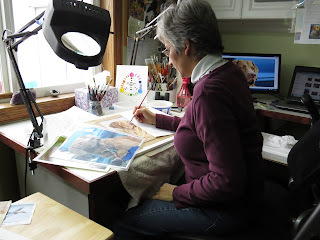 Then the task began to make some sketches and see if my designs would work. 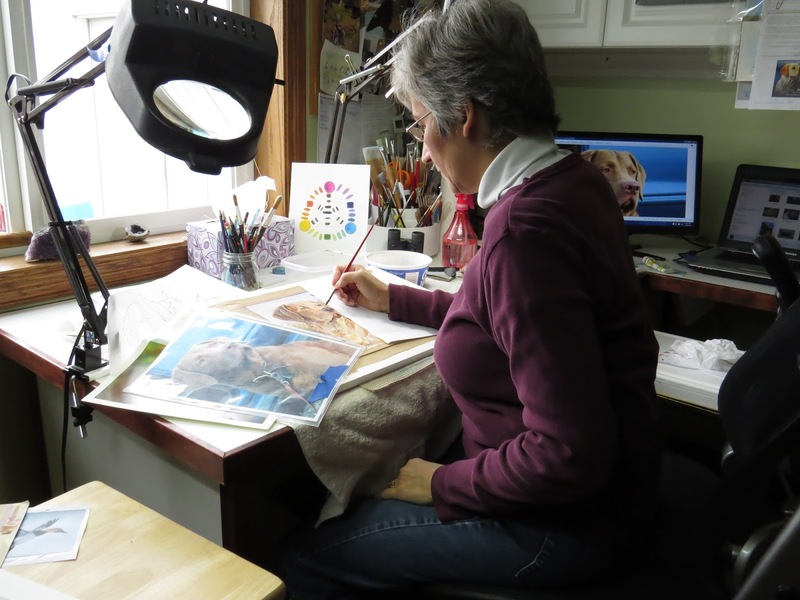 Once the design was decided I did a few color studies before starting the actual painting. Then the real challenge began. It seems I did just fine when it was for practice, but for some reason as soon as I moved to the real piece nothing was coming out as I had envisioned. I started over three times before the background color seemed right for my idea and I could move on to the next part. 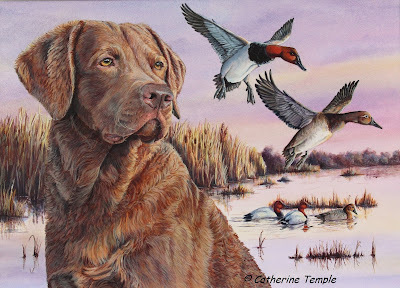 Part of the painting includes a hunting dog, a Chesapeake Bay retriever to be exact. 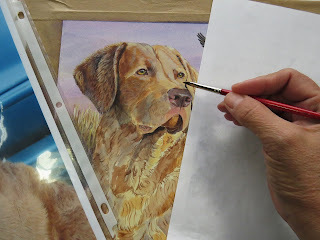 Of course, my Balin gets to be featured in this painting because that's the kind of dog he is. Unfortunately, I can't show you more of my progress just yet because I don't want to tip my hand to my competition. The painting needs to be done by March and judging takes place in April so I have to leave you all in suspense until then. But I thought you might enjoy a sneak peak to keep you interested and let you know I'm still here painting away. I'm just too focused on this to do much else.